Grew up… on the East Coast. Pete is a product of Deerfield Academy in Massachusetts and New Hampshire’s Dartmouth College, where he pledged Delta Kappa Epsilon. The Dyckman clan, his mother’s side of the family, was once ultra-wealthy, but after the 1929 stock market crash and his father’s imprudent spending, little is left to Pete and his brother. Living… in an apartment on Park Avenue with his newlywed wife, Trudy. The apartment is paid for in part by Trudy’s parents, which irks Pete and helps to cement personal insecurities surrounding his status as a man and a provider. 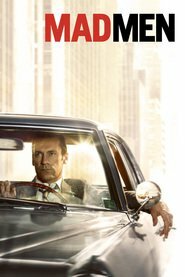 Profession… junior account executive at Sterling Cooper ad agency. Pete is hungry for promotion, mostly for the added salary but also for the increased power and respect that it affords. He is willing to do more than most to get ahead, including blackmail and the unembarrassed exploitation of family connections. Interests… work. Most everything Pete does in and out of the office is in the service of getting ahead professionally. He is always trying to create new business for the company, and then making sure he’s in the room when credit is being given. Relationship Status… newly married. He and his wife, Trudy, spent their honeymoon at Niagara Falls, though he brags to friends that they never left their room. The relationship quickly becomes routine at best, however, as Pete often brings his work home with him, both literally and figuratively. Personality… driven and determined, but immature and petulant. He grovels, flatters, and cheats in order to ingratiate himself with superiors and otherwise get ahead. For example he says to Don, “A man like you I’d follow into combat blindfolded, and I wouldn't be the first. Am I right, buddy?” Though his deceitful character can make him quite unlikeable, the fact that his behavior is driven by a set of very human, eminently relatable weaknesses leaves room for sympathy and understanding. Pete Campbell's popularity ranking on CharacTour is #2297 out of 5,000+ characters. See our top-ranked characters and read their profiles.